Update: Adam Anders has become a top music producer of many hit TV shows & movies, including the hit TV series Glee and the movie Rock of Ages. He also has a label, Deep Well Records. New York-based writer/producer Adam Anders is enjoying his first major hit. 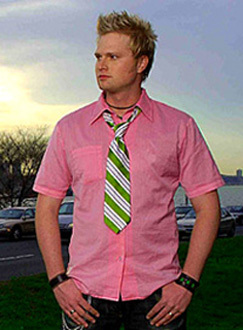 He co-wrote (with the team of Franciz & LePont) the latest Backstreet Boys single, “More Than That.” The song is also featured on the Backstreet Boys current album, Black & Blue, which has sold more than seven million copies in the U.S.
“More Than That” could be the first of many hits for Anders, who is quickly establishing a reputation as a rising, young writer/producer. He already has eight, additional cuts on major labels set for release, and he is collaborating with top songwriters such as Pam Sheyne (co-writer of hits for Christina Aguilera, Dream and Jessica Simpson). Anders was born and raised in Stockholm, Sweden, where both of his parents were prominent, touring musicians. Anders would often go on the road with his parents, learning about the music business at an early age. When he was just 12, he formed a band called Blue Windows, which also included his older brother and sister. The group recorded two albums, with Anders singing and playing bass. Anders then moved to Nashville, where he tried to land gigs as a bass player. However, he initially experienced a difficult period trying to break into the music business. To make ends meet, Anders would work the night shift in factories, and then try to find music gigs during the day. By 1995, Anders did find fulltime work in music, landing a gig as bass player and backup singer for Contemporary Christian artist, Steven Curtis Chapman. In addition, Anders subsequently did programming and production work for Chapman, and co-wrote a song, “Next Five Minutes,” on Chapman’s platinum album, Speechless. Anders eventually relocated to Los Angeles, where he also started writing songs for movie projects. For the Rugrats In Paris soundtrack, Anders co-wrote (with Nikki Hassman & Maribeth Derry) the ballad “When You Love,” which was recorded by Sinead O’Connor and produced by Wyclef Jean. This song was selected by the film’s producers over submittals by many, big-name writers. “When You Love” helped attract the attention of Kathleen Carey, Senior Vice President of Sony/ATV Publishing, who subsequently signed Anders to a co-publishing deal in December 1999. Barbara Cane of BMI was also a big supporter of Anders, and she referred him to many people in the industry. 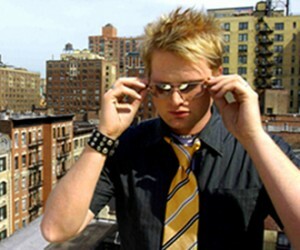 “More Than That” has become a career breakthrough for Anders, especially with the song being released as the third single from the Backstreet Boys’ album. In addition to its success on the Billboard “Hot 100” chart, the song has also become a hit in several other countries. Anders could be taking time off now to enjoy his newfound success. But instead, he is working virtually non-stop in the studio, trying to build upon the exposure and credibility he has gained with “More Than That.” He has produced and co-written eight cuts set for U.S. release, including four songs with Epic artist Tony Vincent, and cuts with Cece Winans (Sparrow), Nidia Rojas (Hollywood), Alecia Elliot (Universal), and Billy Crawford (V2).